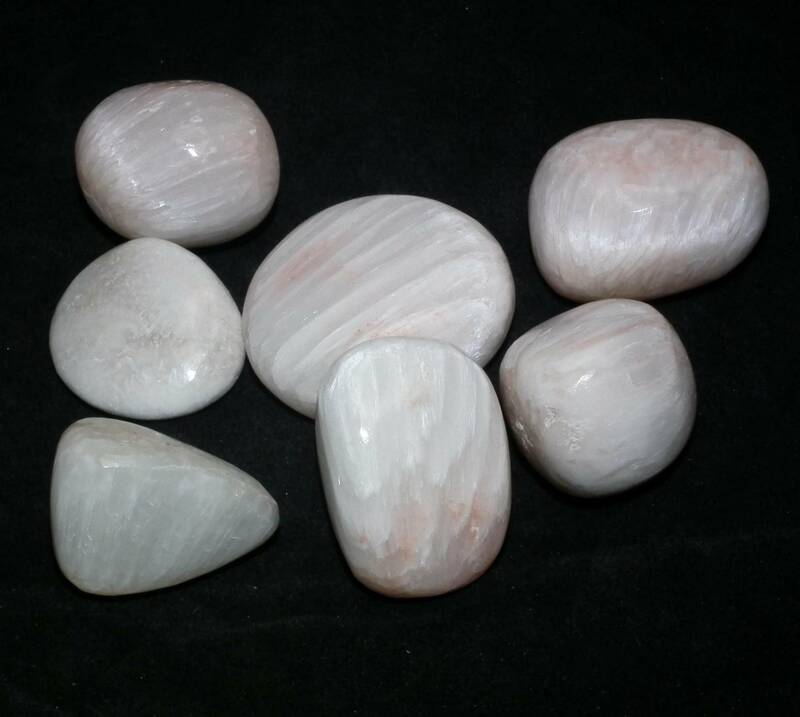 Pieces of tumbled Scolecite, which measure between 20 and 30MM approximately. Interesting little Scolecite tumblestones, measuring 20-30MM long approximately. We currently only sell these as single stones. 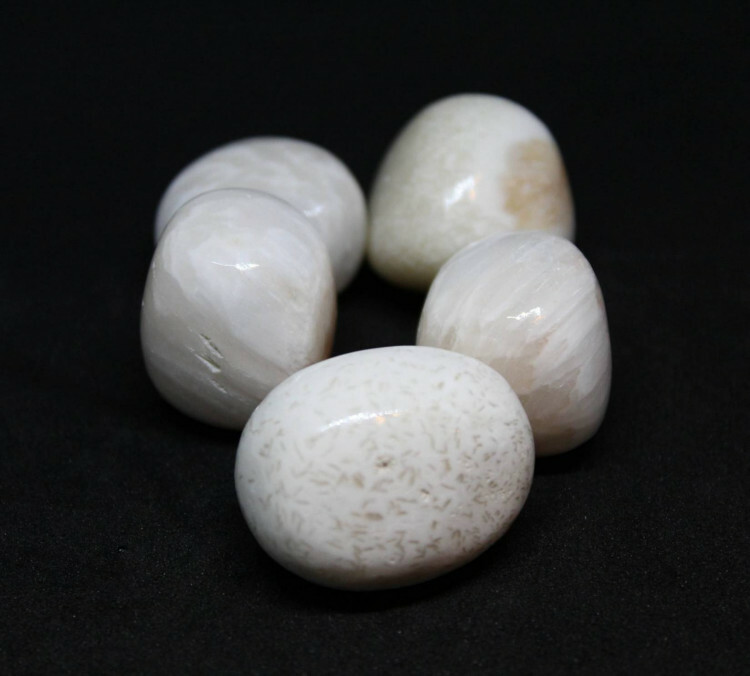 Scolecite is popular with crystal healers and mineral collectors, too – a fairly rare stone. They’d make a nice decoration in a crystal bowl or a small vase. 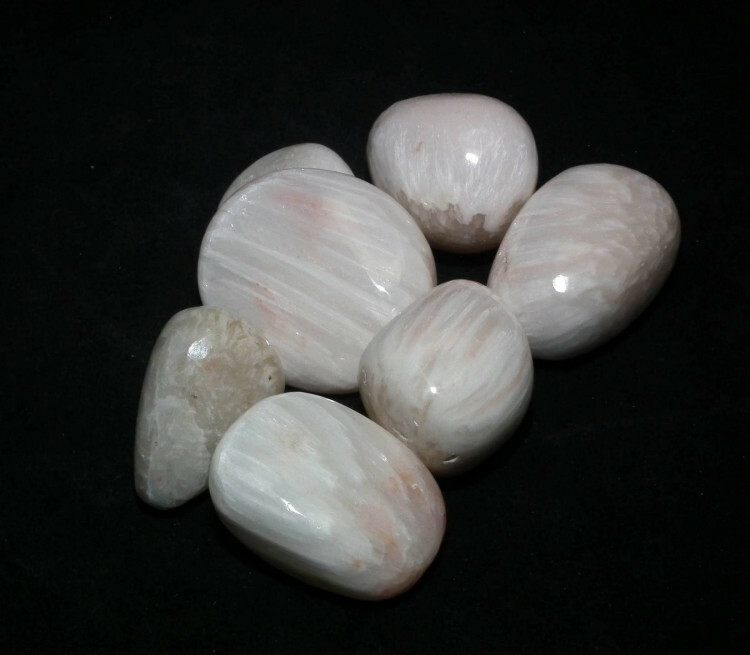 They are an interesting cream colour, with lighter stripes or marks on their surface. Because they are pale stones, they contrast really nicely with darker stones, blacks and greys. They also look great in a wooden bowl! 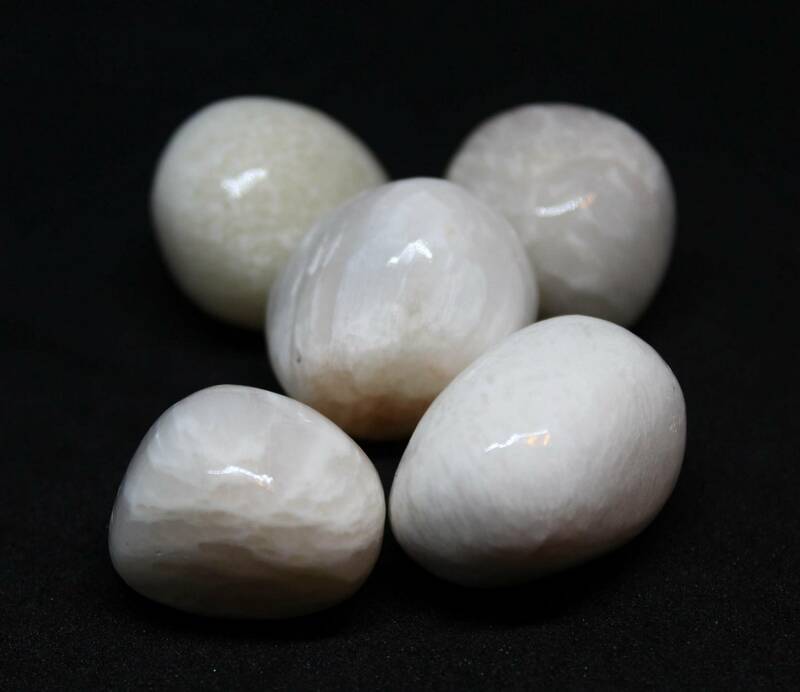 For more information about Scolecite and a list of all our related products, please check out our main Scolecite page.